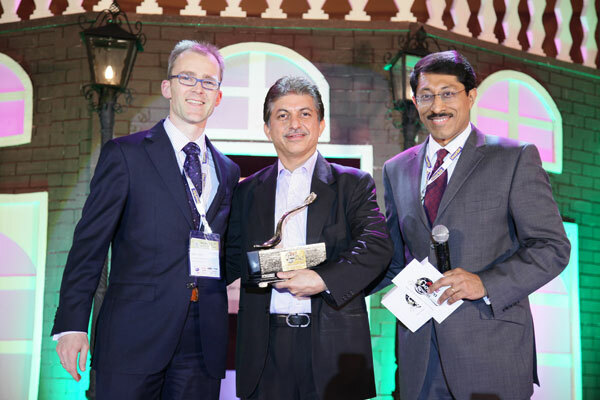 We didn’t get an award, but got the chance to give one away — the Coca Cola Golden Spoon Award 2011 for the “Most Admired Foodservice Retailer of the Year: Cafés & Juice Bars” to Costa Coffee (Devyani International). Congratulations also to the other nominees: Café Coffee Day, Jus Booster Juice, Mad Over Donuts, Baker Street, and Coffee Bean & Tea Leaf. However, in the more recent centuries, India became an exploited golden goose which not only stopped laying golden eggs, but also almost appeared starved at different points in time. The government’s thrust on infrastructure and industrialisation in the 1950s would have been a great base for economic growth, but the country had to wait another 4 decades to see a true boom, which only happened after the government began stepping back from excessive controls. Similarly, while the Green Revolution took India to self-sufficiency in grain and White Revolution made India the largest producer of milk, we are very far from the place where we can celebrate a boom in agriculture. If anything, the recent economic boom is much more an urban and upper-income phenomenon, and that is creating some serious socio-economic fault-lines, about which I have expressed concern earlier. The growth of income inequality looks slower in the case of India than in the case of China, but that is only because India still has far too many poor people weighing down the decile averages. My concern today is of a different nature: about the need to secure food and nutrition supplies for the burgeoning economy. Over the decades, farm-holdings have steadily fragmented. With shrinking parcels, a farming family finds it increasingly difficult to create enough surplus produce to trade effectively. As farming becomes unattractive, the family looks at alternative, primarily urban opportunities to generate income, reducing the hands available to farm. At the same time, economic shifts are causing increasing urbanisation, as concrete and glass takes over what used to be active farming land. Large cities such as Delhi (Gurgaon) and Bengaluru are prime examples, but the phenomenon is affecting smaller cities as well. The employment issue needs to be addressed by placing adequate emphasis on manufacturing (especially labour intensive products) and entrepreneurship, but without addressing agriculture, even this growth would unsustainable. Also, India is at the inflexion point similar to where China was in the 1990s. The increasing income is leading to changes in food consumption. Not only is the overall consumption growing, the diet is broader and more balanced, as people are able to afford a greater variety of food. There is a growing consumption of milk, meat and poultry products, as well as processed foods (per capita of processed foods quadrupled from the late 1980s to the early-2000s). All of these require more inputs (land, feed, water, and fertiliser) per unit of food produced. We may be tired of hearing this, but Indian farm productivity continues to be among the lowest in the world. For instance, India as the largest milk producing country is still only at about half the level of milk production per head of cattle, when compared to the global best. Similar comparisons can be made across the food supply chain. There are three legs to create a change: technology, dissemination of information, and market demand. There is an urgent for technology infusion across the chain, from seed to shelf. Technology doesn’t only mean tinkering with the genetic code (about which there are significant sensitivities). Traditional technologies that are centuries-old can be as effective, sometimes even more so, as technologies that come out of modern labs. If we can avoid taking a “fundamentalist” approach between modern and traditional, we will probably achieve much more, and faster in cultivating and harvesting more efficiently. Information dissemination is vastly superior today, and with the convergence of internet and mobile technologies, not only is it possible to compile ever more information, but also spread it in regional languages very cost-effectively. But these two alone will not be quick enough. The last, but possibly the most important leg, is market demand. For obvious reasons, manufacturers and retailers are focussed on growing their brands, sales and driving per capita consumption. I would argue they also need to look equally critically and perhaps more urgently at the supply chain. Without seeing the farmer and the processors as true partners in the supply chain, and ensuring them a productive existence, any victory on the market or brand-side will only be hollow. As customers, retailers and brand manufacturers not only have the weight, but the sophistication to encourage development. Retailers and brands have the power to drive change. They must also assume the responsibility. A few of them have begun showing the way, but need support from many more. Urgently.